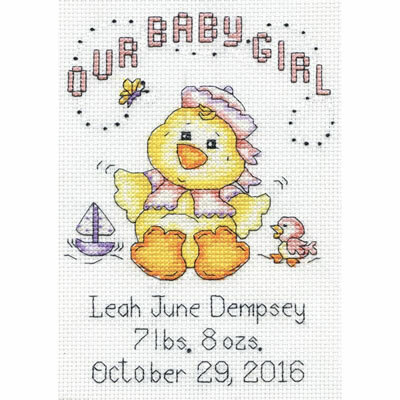 Sweetly simple, this ducky birth record welcomes your new little one. 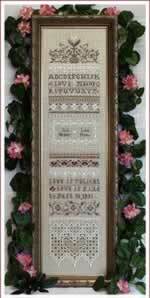 Full kit from DesignWorks includes 14ct Aida, floss, needle, pattern and instructions. The finished size is 5" x 7".